It’s Fashion Friday on Cents of Style and today (1/10/14) it’s all about stacking rings! Take a look at these gorgeous stacking rings they have on sale today only for $5.99, plus Free Shipping with the Coupon Code RING. 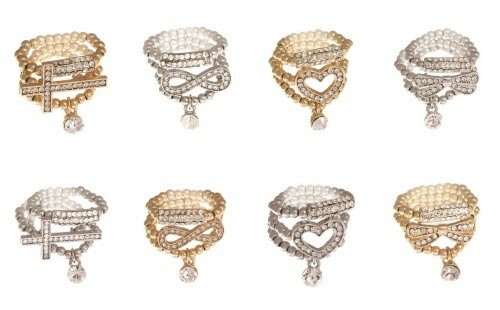 These are a set of three stretch rings with jeweled detailing. They come in gold and silver colors and there is a choice between a cross, bow, heart or infinity symbol. Additionally, when you buy the ring for $5.99, you will be offered a darling pair of bow stud earrings for $1.99 at check out. Three rings, and a pair of earrings for under $8 shipped! This is about 67% off the retail price. 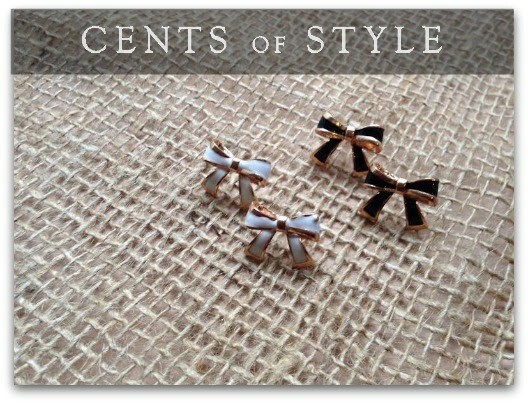 Get your Stackable Rings and bow stud earrings on Cents of Style HERE.